Animals are frequently held hostage, caged and mistreated just so people can look at them and their owners can make money. Sometimes the owners are extremely cruel -- the animals are underfed, and they overwork the animals and make them do tricks that aren't in their nature. This story is of one of these animals -- but this has a happy ending! This big guy's name is Mufasa, and he was chained up in the back of a pickup truck in order to take him from village to village in a traveling circus. It starts off sad, but we promise it gets better. He had been chained up for over 20 years. 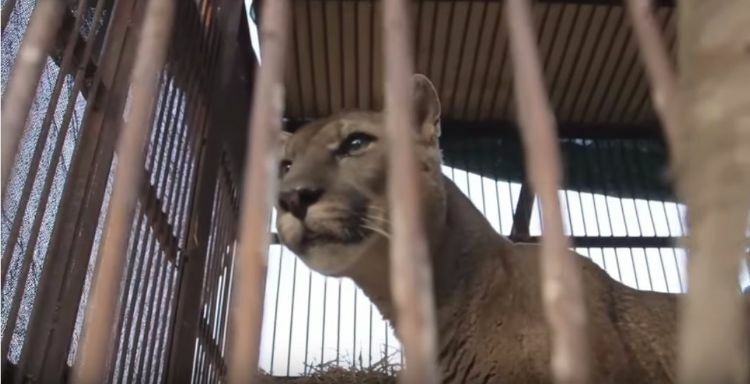 According to Four Paws, wild animals were banned for use in circuses in 2011, but this circus stayed off the grid and on the run, evading police and other authorities -- until now. 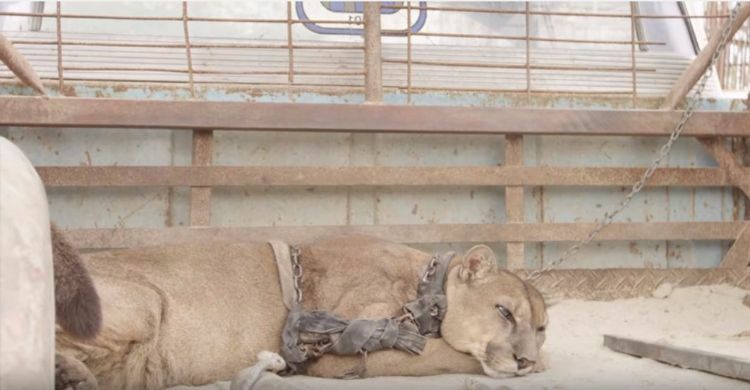 Authorities ambushed the circus and captured Mufasa and other illegally held animals. 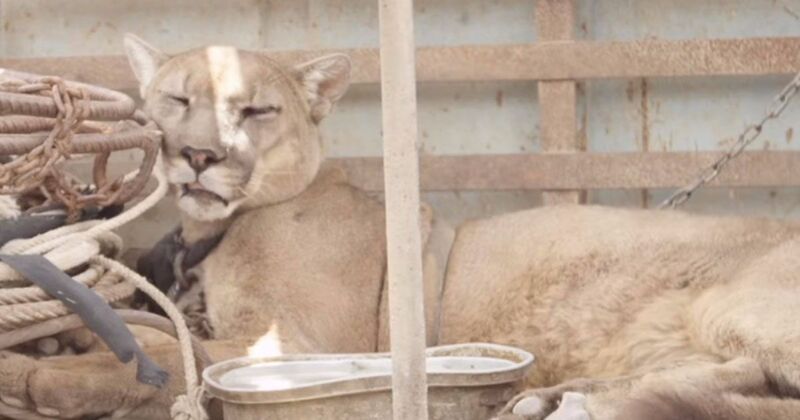 They loaded him up to take him to his true home in the Peruvian rain forest -- a natural habitat for mountain lions. Because Mustafa had been chained up for so long, he couldn't fend for himself in the forest. 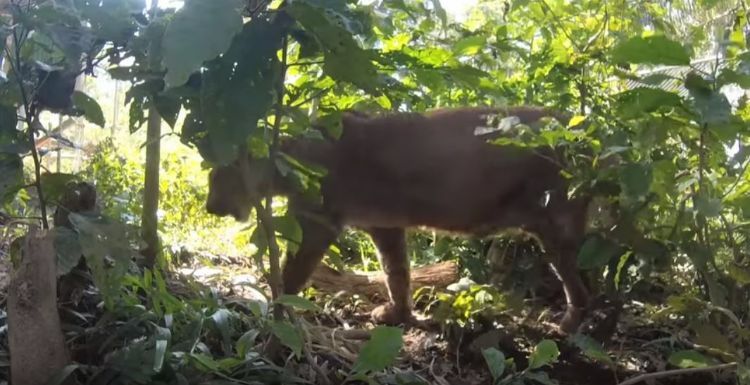 Animal Defenders International had a solution: They fenced off a large area of the forest so that he could live in his natural habitat but still receive the care he needed. He was finally, safely free. Sadly, due to old age and health issues, Mufasa has since passed away. But we're happy that he got to enjoy the end of his life as a free lion -- the way nature intended. Don't forget to watch the video below for the reveal and to see Mufasa take his first free steps. Pure magic! Share this with your friends and family.